NEW THOMAS JAMES KNOX RINK OPENING SATURDAY, JUNE 30 AT 11 A.M.! Join your friends in the newest sport to come to Westerville, Street Hockey. 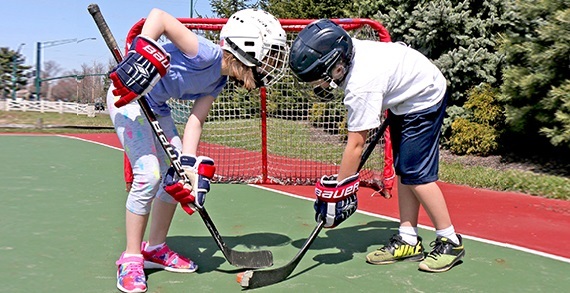 Sponsored by the Columbus Blue Jackets Street Jackets, students can learn the sport of hockey at the newest outdoor street hockey park in Ohio. Don’t miss this opportunity, register today at www.westerville.org/registration. PARK DEDICATION AND CELEBRATION - Saturday, June 30, All ages Dedication 11 a.m. The event will follow with food trucks, Columbus Blue Jackets Mobile Bus, music, games, entertainment and more available for all ages. Visit www.westerville.org/hockey for additional information. 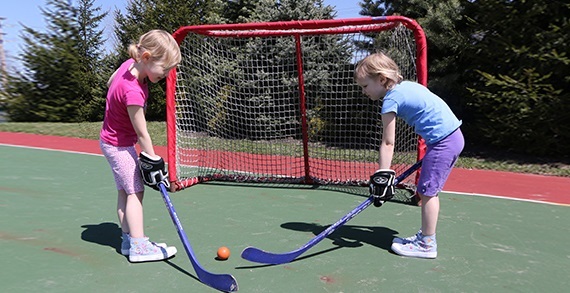 TRY HOCKEY FOR FREE DAY – Saturday, June 30 (Ages 6-14). This 60-minute clinic will introduce youth to the sport of hockey in a fun, safe environment. Register for Skills and Drills classes, Open Rink Street Hockey and High School Street Hockey League at www.westerville.org/registration. Visit www.westerville.org/hockey for additional information. Registration for summer classes with Westerville Parks and Recreation started Friday, May 18. Summer Community Recreation Guides are available at Westerville locations including Westerville City Hall, 21 S. State St, Westerville Public Library, 126 S. State St. and Westerville Community Center, 350 N. Cleveland Ave. or online at www.westerville.org/recreationguide.